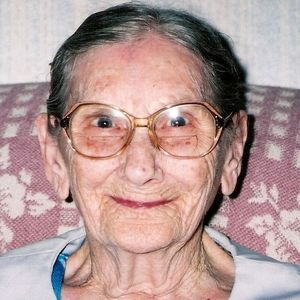 BELTON - Hazel Aline Fleming, 99, of Belton, died Tuesday, February 21, 2012 at 5:58AM at Belle Meade Nursing Home. Mrs. Fleming was born September 30, 1912 in Muhlenberg County. She was a homemaker and of the General Baptist faith. Survivors include her sons Claude (Donna) Fleming of Livermore, Dean (Fran) Fleming of Drakesboro, and Eddie (Liz) Fleming of Kentucky; daughter Aline Cartwright of Belton; 13 grandchildren; 18 great-grandchildren; and 13 great-great-grandchildren. Funeral services will be Thursday, February 23, 2012 at 11:00AM at Tucker Beechmont Funeral Home, with Rev. Mickey Travis officiating, assisted by Rev. Claude Fleming. Burial in Union Chapel Cemetery. Visitation will be Wednesday after 5:00PM at the funeral home. Online condolences may be made at www.tuckerfuneralhomes.com. I'm sincerely Sorry about your loss. I don't know her myself but I work with her granddaughter Beth and I heard a lot of good things. I will keep her family in my prayers. May god bless you all as she goes on her wonderful journey to heaven. She is in peace now. sorry for your loss. just saw the obit. today. sorry i could not make it to visistation. you all are all in my prayers.